On January 27th 2009 an explosive charge was blown up near the Kisufim passage in the southern part of the Gaza Strip. As a result of the explosion, one soldier was killed and three were wounded. It is the first serious incident since the withdrawal of the IDF forces from the Gaza strip after the termination of the “Cast Lead” operation on January 21st. Several hours after the attack, the Arab media, Internet websites and online forums, reported that an organization calling itself “Al-Tawhid W-Al-Jihad” was behind the attack. The organization published a video clip documenting the moment of the detonation of the charge near the military jeep. On December 22nd 2008 we reported for the first time, based on reports in Arabic online forums, that as of the beginning of November 2008 a new organization called “Jahafil Al-Tawhid W-Al-Jihad” (Tawhid and Jihad Legions) is operating in Gaza. The organization views itself as an integral part of Al-Qaeda and even announced that it adopts bin-Laden’s and Ayman Al-Zawahiri’s messages and identifies with the path of Abu Musab al-Zarqawi, the Al-Qaeda leader in Iraq who was killed in June 2006, and Abu Layth al-Libi, an Al-Qaeda senior leader killed in Pakistan on January 2008. In a declaration published in November 2008, the organization has taken responsibility for shooting mortars in the Kisufim area, the same geographic area where the most recent terrorist attack took place. This operation, attributed to an organization with a link to the Global Jihad, was carried on the background of an increased propaganda involvement by the Al-Qaeda leadership in the Palestinian arena. Osama bin Laden, his deputy, Ayman Al-Zawahiri, the leaders of Al-Qaeda’s affiliates in Iraq and the Islamic Maghreb and other spokesmen, called during the past month to carry out Jihad against Israel and to attack Jewish and Western targets around the world, in light of IDF’s “Cast Lead” operation in the Gaza Strip. It is possible that the terrorist attack carried out on January 27th 2009 by the “Al-Tawhid W-Al-Jihad” organization is the first link in a chain of actions taken by Global Jihad groups acting in the Palestinian territories, answering the Al-Qaeda leaders' call to launch a Jihad against Israel. Security sources in Israel have confirmed the existence of the organization and its involvement in the last attack. Israel identified Muhammad Odah Samiri from Khan Younis, who was killed in an Israeli air strike on the next day while driving his motorcycle, as the leader behind the attack. Samiri, a highly trained terrorist of the Hamas Iz A-Din Al Qassam Brigades, decided in 2008 to leave Hamas, considered by him too “moderate,” and joined the newly born “Tawhid and Jihad” group. The “Tawhid and Jihad”, a new organization, demonstrated in the recent attack a highly professional level of terrorist capabilities and successful planning that has taken a heavy toll on the Israeli side. The ability to lay down explosive charges under the protection of the thick morning fog near the fence without being detected by IDF forces, the lethal efficacy of the detonation and the fact that the entire incident was filmed by the terrorists on a video camera, points to a level that isn’t typical to a minor organization. The estimation amongst security agencies in Israel is that possibly the knowledge and professionalism were transferred by experienced terrorist activists that deserted Hamas and joined the new organization thus quickly upgrading its operational capabilities from shooting mortars to a much more sophisticated terrorist attack. In Gaza itself, the Palestinian factions avoided taking direct responsibility for the attack. This is a relatively rare phenomenon in the Strip and may express a certain fear of Israel, following the outcome of the “Cast Lead” operation. The attack, a clear and brutal violation of the cease fire, targeted an Israeli patrol on a regular patrolling morning mission on the Israeli side of the border with Gaza and not within any context of the fighting inside Gaza. The Kisufim attack perpetrated by the “Tawhid and Jihad”, was possibly executed in coordination with Hamas, or its passive knowledge. The fact that the attack was executed by a splinter group, more radical than Hamas, does not change Israel's approach to the incident. Hamas, as a de facto governing power in Gaza claiming that it rules the Strip, must be held accountable and should be regarded as the main target for Israel’s retaliation. The fact that only a week after the unprecedented scale of the Israeli military operation terrorists feel still free to stage an offensive attack may pose a question regarding the Israeli deterrence, Israel’s major objective and rational in carrying out operation “Cast Lead”. The Hamas leadership in Gaza considers that it did not pay a costly price for its conduct and even cries victory, at least according to its media statements and despite the gloomy results they face. The level of motivation as reflected by Hamas leaders in Gaza is still high. If this leadership does not fear enough for its life, and if the equation of profitability of the Hamas leadership will not change dramatically regarding the ongoing commitment to fighting and terrorism, the whole vicious circle of violence may begin again. The Israeli public opinion is uncomfortable with the lack of unequivocal change of the security reality in the southern border of Israel under the temporary fragile cease fire. The general impression within the Israeli public is that the Israeli government should have let the IDF continue the operation and reach a tangible result, meaning to complete the job and defeat Hamas. 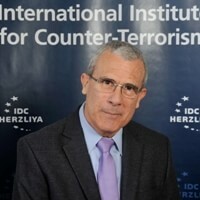 Without an immediate and harsh retaliation to the Kisufim attack, Israel could miss the main objective of the message it wished to convey to Hamas and all the other terrorist factions: that terrorism and attrition through rocket attacks is no more acceptable and they should stop completely if there is a sincere wish to reconstruct the beleaguered Gaza and bring security and well being to its population.